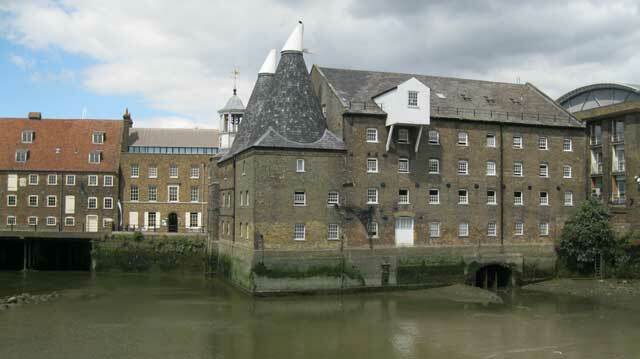 John Goodier takes us on a tour of parks in East London, starting at Three Mills Green, a site managed by the Lee Valley Regional Park Authority, five minutes from Bromley-by-Bow Underground station. It has become almost a custom that, over the New Year, I should take a walk that becomes my contribution to London landscapes. This year I set out to see three specific parks. It would be possible to walk to the next park but a train journey is easier. The Altab Ali Park (E1), the former churchyard of St Mary Whitechapel, has also been recently redesigned by landscape architects Muf as part of the High Street 2012 project. The park is named after a Bengali man stabbed to death in 1978. The incident had a considerable effect on the local community. The park is divided by a path. To the south is a landscaped area with rocks and old tree trunks. In one corner is the Shaheed Minar memorial, a copy of the memorial in Dhaka, which commemorates the struggle for Bangladeshi independence. A large chest tomb, the 18th-century tomb of several members of the Maddock family, stands in the middle of the park. To the north of this a raised green stone walkway and seating area marks the nave of St Mary's church. The original gate and a long-disused drinking fountain remain from the church wall. A playing board for the game of carom adds to the layering of history and culture. Interpretation boards are due to be provided: the space is there but no text. In the meanwhile one can explore the history. Braham Street was until recently part of the complex road system at Aldgate. It is now a formal park. Along the north side is a long bench with shrubs and tall grass planted behind. The rest of the park is slightly raised beds with low yew hedges in a geometrical pattern. In the centre, hidden from view as you enter the park from the ends, is a water feature. Echoes off the buildings confuse you as to where the water is until you reach it. The south side has tropical-looking planting benefiting from the microclimate of the area. This garden is mainly aimed at the many office workers in the area. The maze of underpasses around Aldgate has also been redecorated. I then took the walk to a few long-standing parks. The first is one of the most hidden parks in the City. 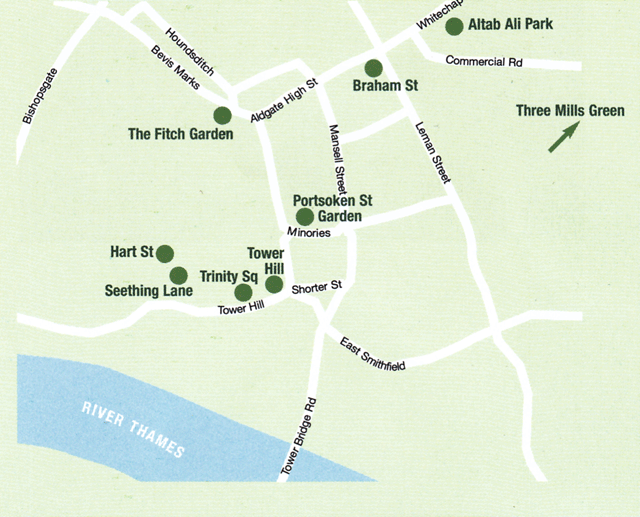 The Fitch Garden is in Mitre Street. This is not the rather simple planting in Mitre Square, which is not worth going out of our way for. The Fitch Garden, open only during weekdays, is through a gate by the Trident Bar and up some steps and through another gate. There is some dense green planting in this shady area, and the ground has gravel rather than grass. What makes it worth finding is the memorial created from an original gateway of St Katherine Cree. This was paid for by William Avenon in 1631 and has a corpse carved in the top of the gate. The gateway was transformed into a fountain when the churchyard was laid out as the Fitch Garden in 1965, in memory of various members of the Fitch family. Portsoken Street Garden was created after WWII with financial assistance from the King George's Fields Foundation, and is the smallest King George's Field in the country. Entered from Goodman's Yard, the Garden is a packed area. There are paths, flower beds, trees, seats and play features for children. One of the play items is some planks that as you stand on them and rock them they sound a musical note. It is not only children that enjoy them! It is another hidden garden that is worth going to find. The sad grass area by the Roman London Wall on the way from Tower Gateway to Tower Hill has gained some planting and a roundabout and slide - which makes it much better and more useful than it was. The layout of entrance and exits to Tower Hill is a good piece of design that adds interest to the area. The one well-known park on this walk is Trinity Square. It is overshadowed by the old Port of London Authority Building by Sir Edwin Cooper (1912-22). The park contains the Mercantile Marine memorial by Lutyens and a more recent memorial to the Mercantile Marine personnel who lost their lives in the Falklands War. It also contains a memorial to those executed on Tower Green, one less often looked at but of great historical importance. There are in addition to all this history some good gardens and plenty of seats for the many tourists who visit the area. But, for a quiet end to the walk, we go to Seething Garden. This is on the site of the Naval Office where Pepys worked and is typical of the earlier style of Corporation of London parks with paved areas, seats and some shrub planting. 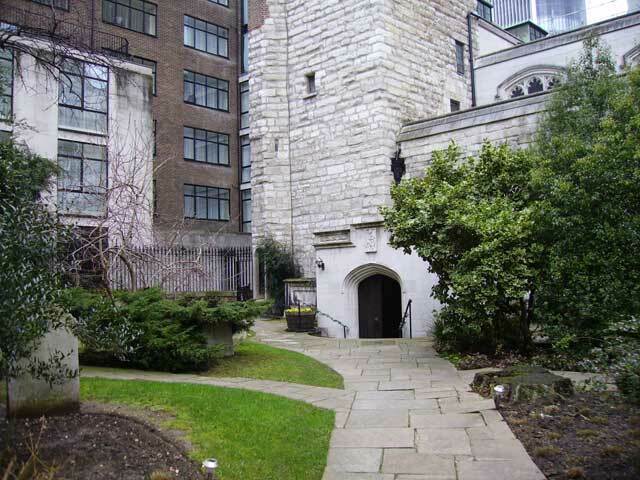 Across the road is the entrance to the churchyard of St Olave Hart Street, a surviving - if much restored and altered - medieval church. The churchyard is well planted. Three skulls are carved above the gate. This is Dickens' St Ghastly Grimm but also a church both he and Pepys loved. I had not intended another memorial walk, but that is how it ended up. My idea was originally to show you new and redesigned parks but those - and the older parks - have histories, memories and cultural significance. There is probably a hidden history to most parks in addition to the history of the design and management.